It is the policy of the company to maintain a quality system designed to meet the requirements of EN ISO 9001:2008 in pursuit of its primary objectives. The company’s Quality Assurance Manual defines our quality objectives and key procedures. 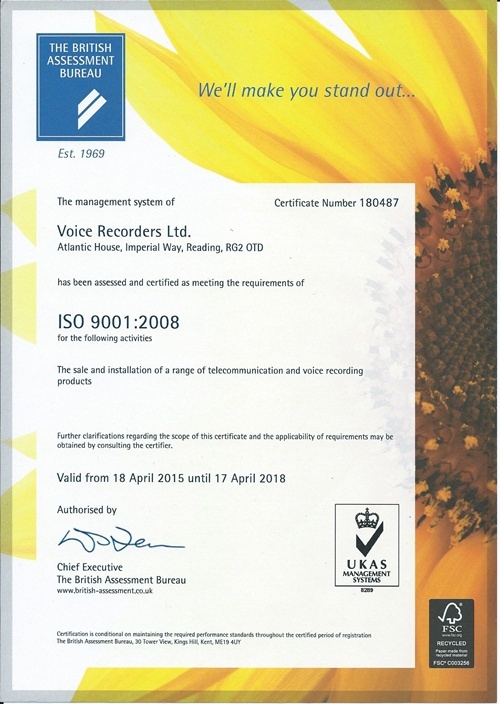 We have been accredited to this standard from 2013 to 2018. However this standard has now been superceded but we still maintain the standards procedures. Customer service is an essential part of the quality process and to ensure this is fulfilled, all employees receive training to ensure awareness and understanding of quality and its impact on customer service. To ensure the company maintains its awareness for continuous improvement, the quality system is regularly reviewed and is subject to annual audit by the British Assessment Bureau. Please take a few moments to rate the quality of our service.